Does it worth investing on G-Suite Google Apps for Business? If you have been using Google Apps for business, then you should know that it is not free anymore. Previously, there used to be a time when people were using Google apps for business for free. However, nowadays, you have to pay for all the essential features from the Google apps for business. If you are an owner of a small or medium company and you want to enjoy all the benefits of the professional service, then Google apps for business can be the best option for you.However, we have seen that people have shifted to multiple other services as well. If you have to pay for the services, then it is always better for you to make a detailed comparison of the options available out there. However, countless businesses are still using Google Apps for business, and they have their reasons. The question of the hour is that whether you should invest money in Google apps for business? Well, we have to see about that but, first, we will have to do some analysis so we can conclude. Let’s begin with detailed analysis so you can decide whether to use Google apps for business or not. Understand What Google Apps for Business is ? Before making decisions as a business owner, you must understand the function of the service or product you are using. Google Apps for business is a bundle of apps that you can use to make things easier for your business. If you are handling an online business, then you must be aware of the hassle that you have to go through to manage things properly. 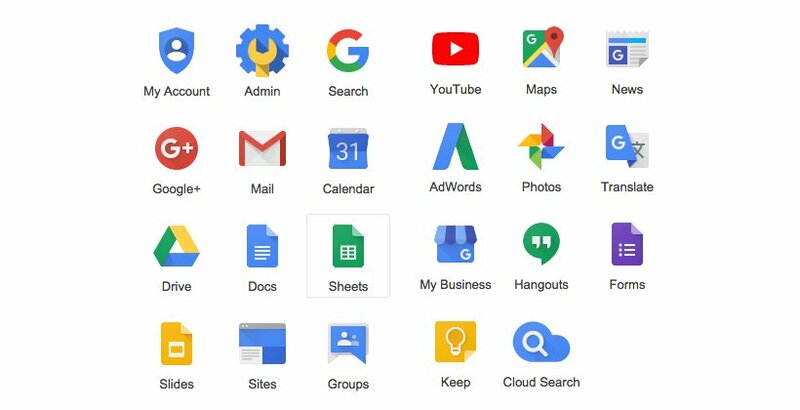 Google apps for business offers a variety of apps including Gmail, Drive, Calendar, Hangouts for communication and much more. If you are taking advantage of Google apps for business, then you will also be able to get multiple other benefits. If you do not want to invest much money to buy software for managing things for yourself, then Google apps can provide you with the same solution without a significant amount of investment. Let’s have a look what Google apps for business offers. If you are searching for the best platform to manage things efficiently, then Google apps for business is a great option. If you are making a comparison, then you should know that it does offer a good value over other platforms. A service like this is offered at $5 per month, and it is, without any doubt, an excellent option for having multiple services. You will get everything you need to manage your business, and you only have to pay a small amount of money. If you compare the value with other options, then Google apps for business will stand out. This is not it; there are lots of different reasons why Google apps for business is the best option available out there. If you are managing your online business and you have a group of employees, then you should consider using Google apps for business as it can provide you multiple benefits. First of all, it helps employees to work in collaboration, and it makes things a lot easier for them. If you are making use of google apps for business, then you should know that all the apps are at one place, and you can easily access and manage things properly. You only need one account to access all the services offered by Google. It means you do not need to go through any hassle when managing business files and operations. Plus, you do not need to sit on your computer to access the files. You can access the google apps for business from anywhere. All you need is access to your account, and you will be able to view and edit any file you want. You only need an internet connection to access your google apps for business to manage everything. Most of the businesses need a consistent tool that helps them to stay in contact with the others. If you are trying to collaborate with other employees, then google apps for business offer the best way to do so. You can create sheets and edit those sheets at the same time. You can collaborate with all the other employees using google apps. With the use of Google Apps for business sending emails to your clients, employees, or anyone in the world become easy. Gmail will give you a chance to personalise your account, and it will help you separate emails coming from multiple sources. You can even put labels to identify the nature of emails, and there are lots of other useful features available. If you have IT assistants in your office, and you are paying a right amount of money, then you should know that it can reduce your cost. Google apps for business will already manage everything for you and manage these apps is easy for everyone. It has the most straightforward admin panels, and every person can handle these groups these days. Moreover, you must know that there is a low maintenance required for the google apps. These applications are already hosted on the google servers, and the software is already up to date, so you do not need much maintenance to take care of your google apps. You must know that there is no detailed and complex licensing involved. All you have to do is to pay the fee per user, and you can have complete access to all the apps. You do not need to go through any hassle, and there are no lengthy contracts with expensive licensing fees. After making a detailed comparison of the cost, and benefits provided by the google apps for business, it surely worth investing the money. If you have google apps for business, then it will make things simple for you, and you can have access to all the apps that are hosted on Google’s server, so you do not even need any maintenance.